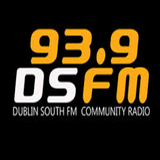 Dublin South FM is the community Radio Station for the South Dublin area. It is a project that is largely run by volunteers of all ages and abilities from the local community. We broadcast from 11am to 11pm seven days a week. Check out our website for more details on the wide range of programming. I can guarantee that we will have something to your liking, we have music from Jazz to Hip Hop from Global Beats to Solid Sounds to Festival music. We have shows in French, Brazilian, Irish, Urdu, Romanian and Spanish. We have a wide range of shows about health and well being and travel. We also have shows that will take you back to the 40&apos;s, 50&apos;s and 60&apos;s. Like our Facebook page and Twitter feed. Dublin South fm, your local access radio station.